Looking for a natural way to satisfy your vitamin B12 demand? One spoon of Cricket flour will provide enough B12 for the whole day! 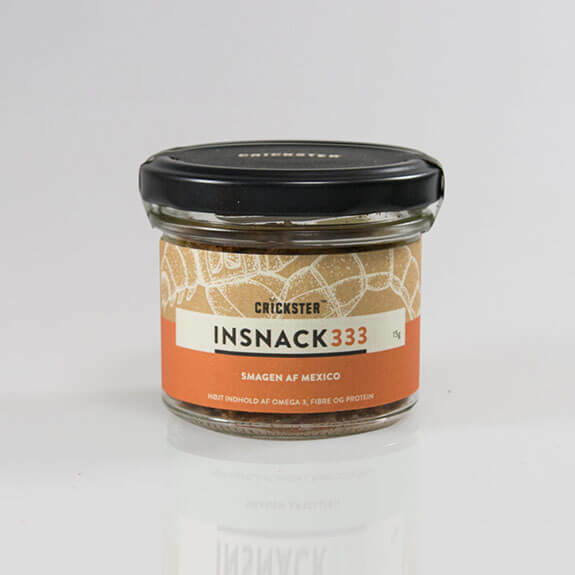 Boost your morning routine with a piece of cricket crisp bread and explore the wellness food of the 21st century... Live the future, master new taste combinations and lead the people around you towards healthier and more sustainable food choices. "Why should I eat Crickets?" 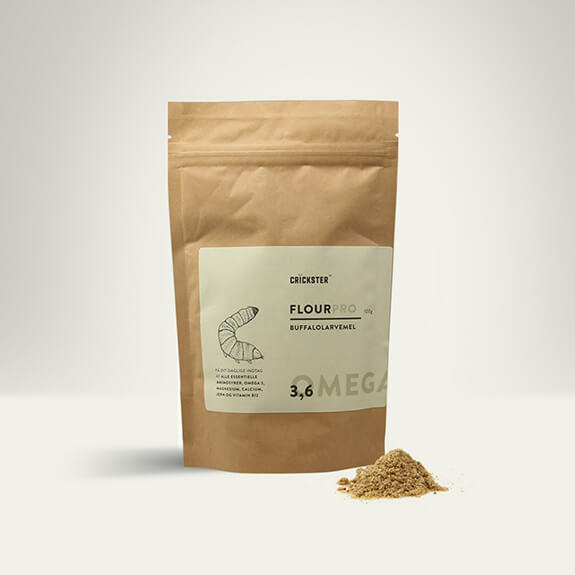 Well, cricket flour is a naturally occurring protein powder that offers a whole host of essential vitamins and minerals, as well as being an all-natural source of protein and fibre to help support everyday health. 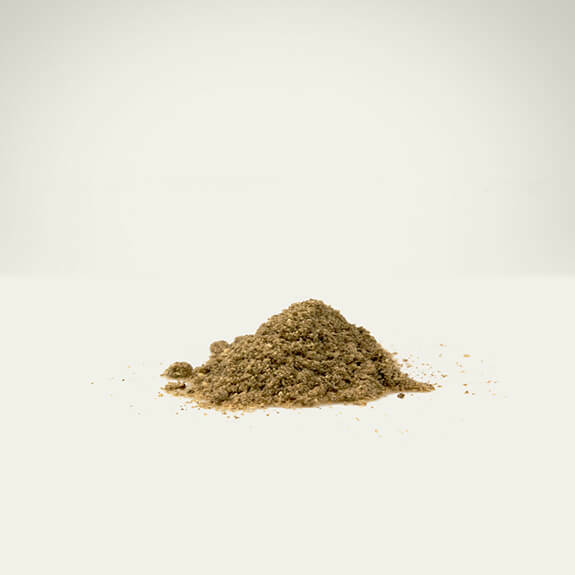 Our Cricket powder is a quick and easy way to get your daily dose of important nutrients. Cricket flour is rich in nutrients that are important for a wide range of body functions.To dive a little deeper, they’re a complete source of protein that contains all essential amino acids; they’re packed with healthy fatty acids, antioxidants, vitamins and minerals. Furthermore, they are a nice addition to many different foods. Crickets can be yummi. 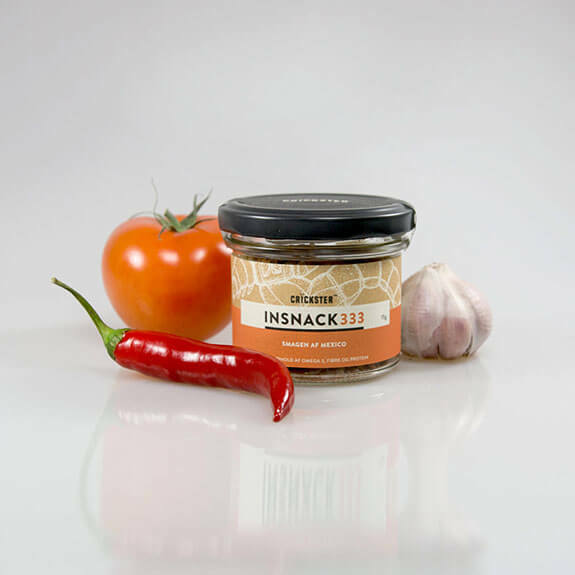 They have a unique savory taste profile that you can combine with sweet and salty meals. The taste would be easiest described as a combination of mushrooms and Parmesan cheese. If you enjoy preparing your own meals, you definitely have an interesting ingredient to experiment with. 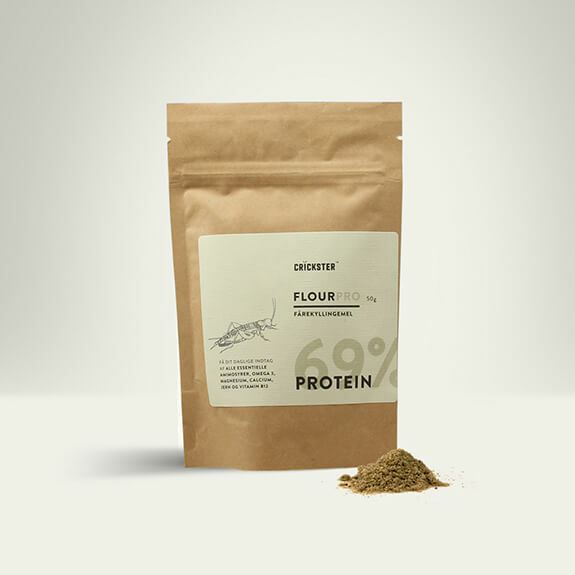 Flourpro cricket flour is a natural protein powder made a 100% out of freeze dried house crickets (Acheta domesticus). 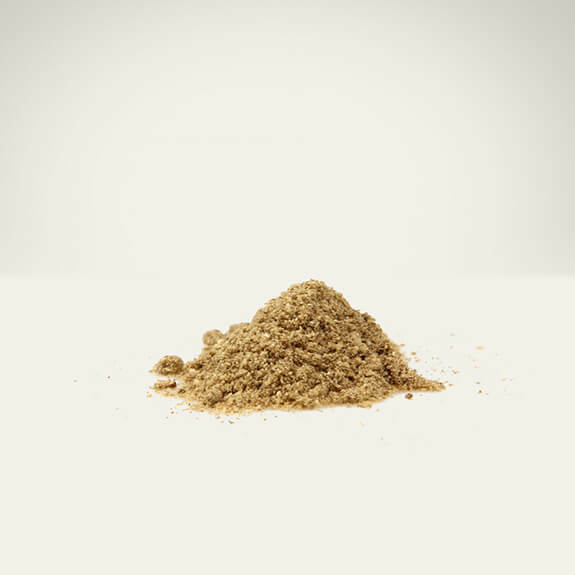 Our cricket flour is free from pesticides, hormones and antibiotics. If your looking for a superfood to upgrade your diet and you're not discussed by edible insects, you might want to give edible crickets a try. 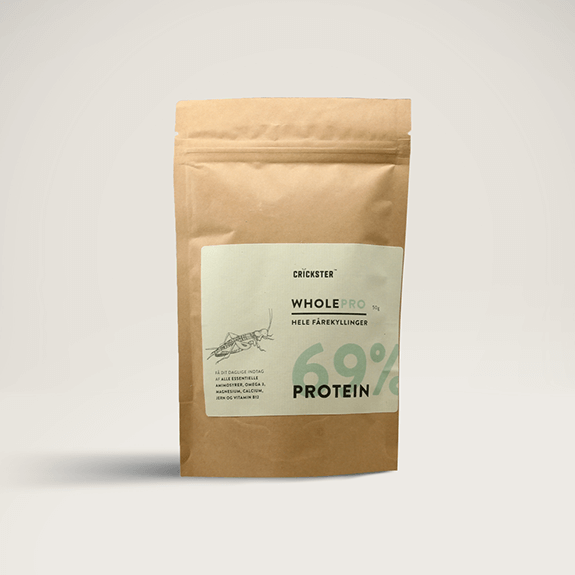 Crickets are low in carbs, high in healthy fats and high in protein. 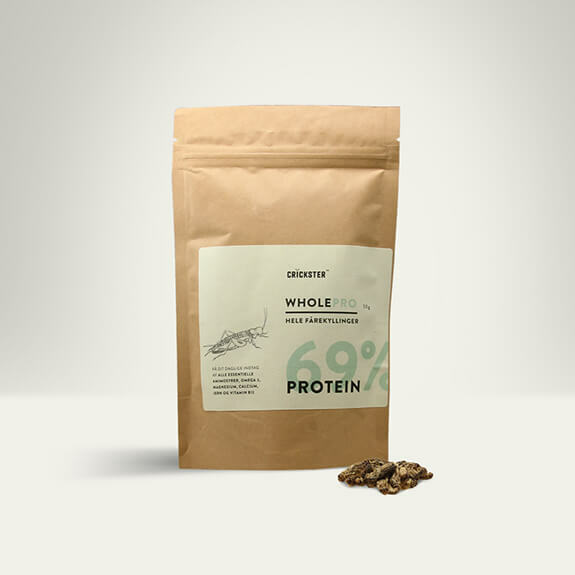 Edible crickets are also high in vitamins and minerals and they're easy to use. What's more they are easy to digest, and they're suitable for a wide range of diets including paleo, entotarian and the keto diet. Add to basket now, and share a great experience with the people around you.